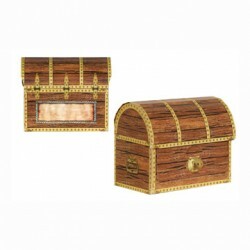 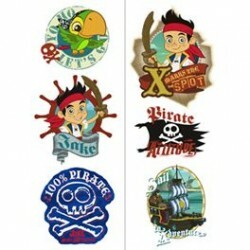 Jake and the Never Land Pirates Party SuppliesThere are 56 products. 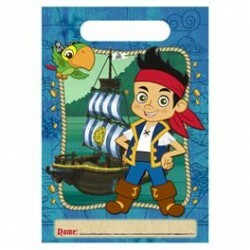 Jake and the Never land Pirates loot/ treat bags 8 pack. 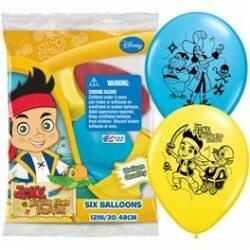 1 packet of 6 helium quality ballons size 12inch. 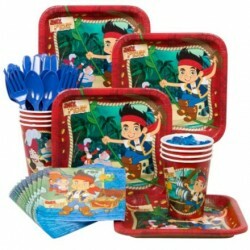 Jake & Neverland Pirates Plates 9"
Jake and the Never land Pirates plates 8 pack 9"
8 Jake Cake Plates 8 Jake 9oz Cups 16 Jake Beverage Napkins 8 Forks/Spoons/Knives napkins have been replaced with another picture see below. 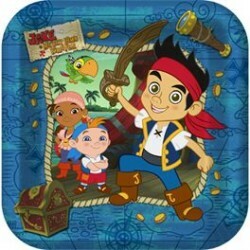 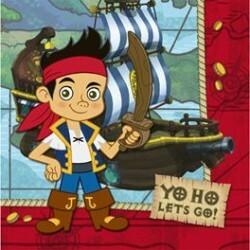 Jake & Neverland Pirates 8 Plates 7"
Jake and the Never land Pirates Invites with envelopes 8 pack. 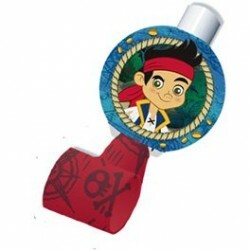 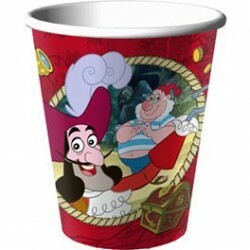 Jake and the Never land Pirates party blowout favours pack of 8. 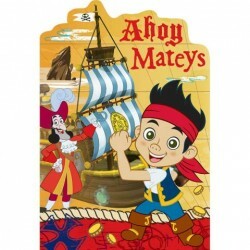 Jake & Neverland Pirates Tattoos Total of 12 Tattoos per pack, 2 sheets of pic shown. 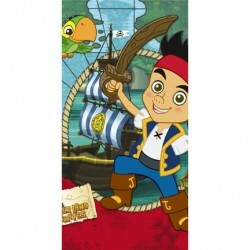 Jake and the Never land Pirates Tablecover measures 54 inches x 102 inches. 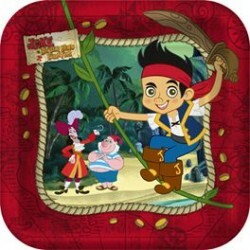 Jake & Neverland Pirates Napkins 13"